A few weeks back we posted a little piece about how – contrary to the general perception – there are plenty of independent record stores out there who are doing just fine. That post was met with such excited fervor that we’ve decided to go one step further and profile some of those stores who are out there in your town, slinging rock and taking names. 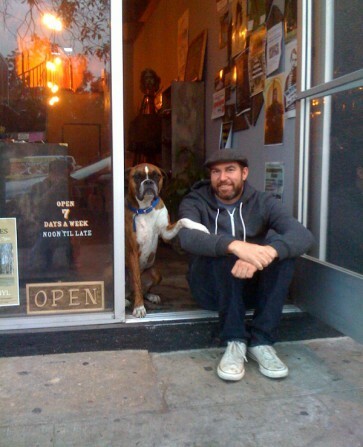 For our first installment we caught up with Neil Schield, owner of one of our favorite new record shops, Origami Vinyl in Los Angeles; a small store who pack a ton of punch and are really beginning to cultivate their own community in the Echo Park area. Mississippi Records in Portland is by far my favorite. I love the personality of that shop. It’s so small and quaint, yet has such a tremendous amount of amazing music. I really respect Aquarius Records in San Francisco. They are one of the best shops to turn you on to unknown/obscure music. I’ve always enjoyed their level of knowledge and recommendations. It’s pretty crazy. I never was sure what to expect. I didn’t lay out a business plan or anything, but we have been blown away by the amount of support, press, and foot traffic that come through our shop. It’s been the most fulfilling decision I have ever made in my life. I’m constantly learning all the nuances of owning a retail shop and the unpredicatbility of sales trends, but the challenge makes it that much more fun. Community. It’s our mission to be as active with our local community as possible. As a record store I believe you have to have some sort of responsibility to support your local music scene. We pride ourselves on that. Any band that wants to take the time to release something on vinyl, our doors are open for them to sell it here, promote it here, play an in-store here. Without local independent bands we wouldn’t exist. 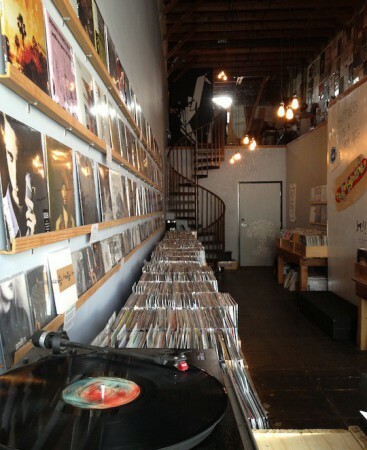 I also believe the future of independent record stores must be based on smaller, more curated, neighborhood shops, than big, huge warehouses of music. There’s been a major movement over the course of the last few years to support small local retailers, and we feel that. People really appreciate customer service. Having an approachable, knowledgeable staff, that get excited that they share the same interests as the customer is extremely important. The most memorable and maybe the most infamous, was our in-store with Jonsi. Not only was it the most amazing performance we’ve ever hosted, but the fact that it will never happen again was pretty special. I feel bad that he was so uncomfortable being so close to his fans, but at the same time, I hope he realizes in retrospect how magical that night was for everyone that witnessed it. If you haven’t seen it, check it out. Because we’re fun people to loiter with. I’d say the top 3 albums of the year for me are from Bill Callahan, PJ Harvey, and Tune-Yards. Short term: Open an online store that focuses on LA based bands and artists. 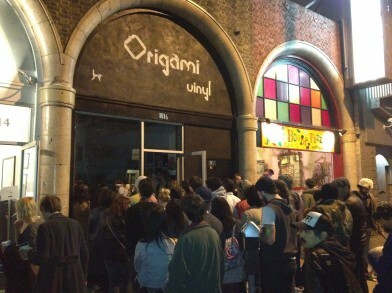 Long term: Origami East…hello Brooklyn! ?